Bring your entire family on this great tour! This is the first of a new series of events to introduce Kentucky’s unique culture, history, and natural beauty to members of JASK! In particular, we want to encourage personal interaction between our home-grown Kentucky members and those who have joined us from Japan and elsewhere! This event gets us “behind the scenes” of the culture of Central Kentucky. Did you know that we have a world-famous expert on tea living right here among us? Bruce Richardson is the owner of Elmwood Inn Teas in Danville, and also the Resident Tea Master at the Boston Tea Party and Ships Museum in Boston, Massachusetts. Bruce is also the author of several influential books on tea drinking, including The New Tea Companion, The Great Tea Rooms of Britain, and a new edition of Okakura Kakuzo’s Book of Tea ( 岡倉天心の「茶の本」). On our first stop, Bruce will talk with us about the significance of tea and of Okakura’s work at his home base of Elmwood Inn Teas in Danville. Our tour includes a picnic lunch held at Constitution Square in Danville, site of Kentucky’s first seat of government (1785). Then we head to nearby Perryville, locale of Kentucky’s largest battle of the Civil War (1862). The battlefield has an outstanding small museum of period artifacts and videos that explain the circumstances of the battle. 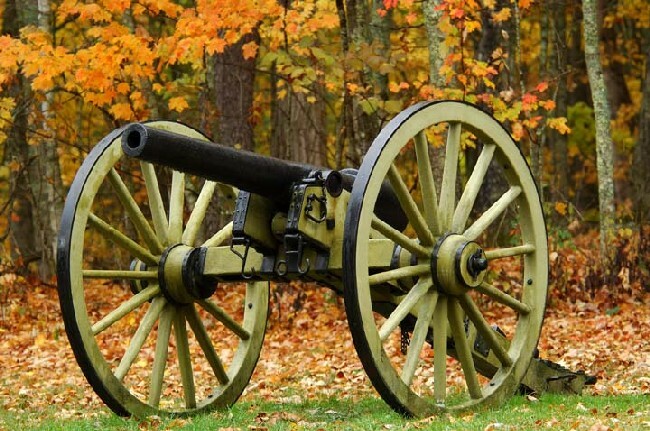 Led by a local guide in Civil War costume, we will tour the battlefield by bus, stopping at significant historical sites within the pastoral landscape. From there, we will head to Merchant Row in the center of Perryville itself to spend a few minutes browsing and shopping for mementos of our visit, before departing for Lexington.